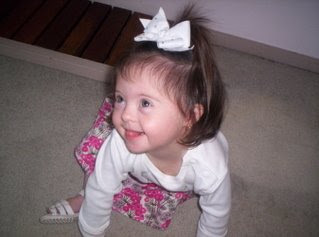 Google+ Consumer Psyche: My kid has more Chromosomes than your kid! 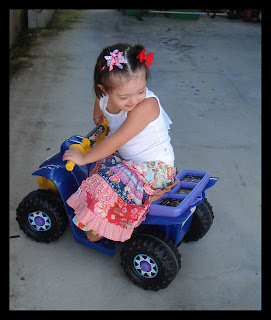 Raphaela my eldest daughter has Down Syndrome, she turns 4 in just under two weeks. Since she was a tiny baby we have called her a Diva, she's blessed us with endless joy and endless attitude! She required open heart surgery when she was just 5 weeks old, but she bounced back beautifully from that (Big thanks to Dr Pohlner & Staff at Brisbane's Prince Charles Hospital) & hasn't looked back. Now at nearly four she does everything and more that any "un-enhanced" child would do. She starts Kindy in 3 days, loves Fimbles, Bananas in Pyjamas & her Poppy, she loves playgroup and dancing and her temper is almost as bad as her mummy's. 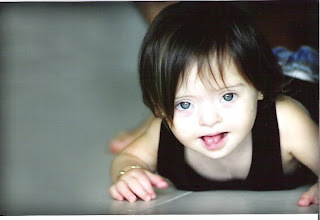 Less and less children with Down Syndrome are being born into our society, due higher rates of prenatal detection and ignorance about what its really like to live with this Syndrome. We are losing a whole generation of Raphaela's peers because of fear and misinformation. The world is not a better place with this practice of modern "eugenics".